Chapbooks are so overlooked in the publishing world. Even poets these days usually bypass the chapbook stage and go straight for the gusto: a book. But there is a special quality a chapbook has that a full collection often times does not have: focus. I love that Beeman included an introduction! It is rare for a full collection to have one, never mind a chapbook. A Swamp Inlander Meets The Sea is a celebration of the great feats Fidel Castro and his crew accomplished via images of an island and it’s people that are loved and hated by many. It’s also memories spread out in different pieces of Beeman’s thoughts on Cuba and her time there. Beeman writes of land, sea, and water along with love, life, and revolution. Yearning In A Different Language is part of a running theme throughout Beeman’s chapbook: amor. Feeling the freedom of intimacy via her long hair flowing down her back, her lover’s body representing the island she loves and its fight for autonomy, the merging of two different places via two different shades of skin, Beeman beams you to a high place via her images and openness. Water, our strongest force on Mother Earth, is another theme which Beeman uses to connect poems to peoples and peoples to land. 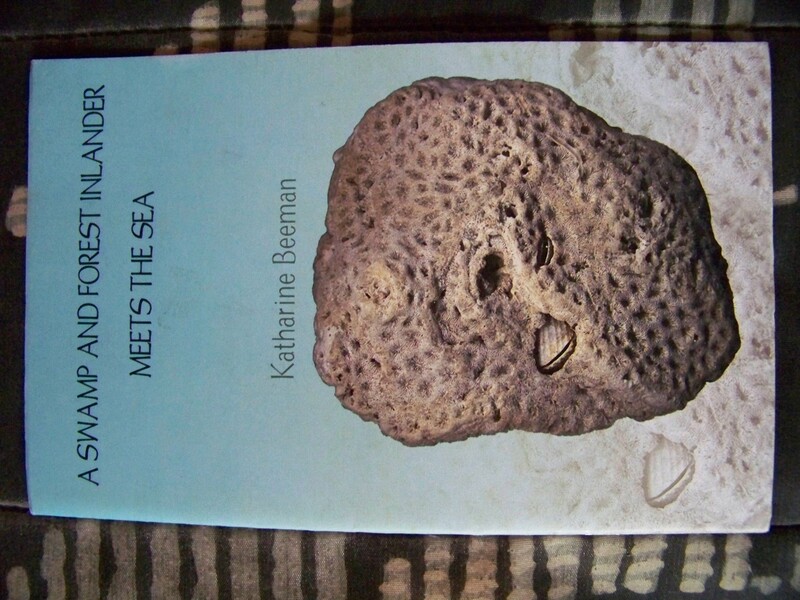 From the front cover showing a coral reef with clams stuck in it, to the “blue sea” mentioned in the above poem, to “moonlit swims” in her poem Truth, and an entire poem about skin submerged in water, Swimming, Beeman writes of this strong force in parallel to the strongest spiritual force: love. Swimming from Canadian cold waters to the hot sun in Cuba, Beeman shares her imagination of reaching her lover via floating from Ontario to Varadero. It’s funny how most of us have dreams of love that might embarrass us, so we keep quiet. Beeman doesn’t care. She lays her dreams out on the page. In Swimming she yearns for her lover like she yearned in a different language. She pictures him swimming his way to her and later she swimming to him. Maybe they could meet halfway? Maybe we all dream such dreams? Maybe we’d be a better society if we did dream like Beeman and weren’t afraid to share our dreams with others? and the neck of the world? Beeman writes poems for Fidel Castro, Che Guevara, the Cuban 5, Cuba’s tanks, and her lover(s). There is no confusion on what side Beeman stands. She believes in revolution, love, energy, community, and power of the people. The above poem shows her ability to connect global struggles and point out whose feet are leading the destructive paths that oppress many to benefit a select few. I agree with much of Beeman’s words. My focus is not on Cuba or its revolutionaries. My feet walk a different colonial reality. But I respect the time and effort put into these poems, most of all I respect the transparency of Beeman’s voice. Tune into Black Coffee Poet Wednesday October 31, 2012 for an inclusive interview with Katharine Beeman. This entry was posted in Uncategorized and tagged chapbook of poems, Che, Che Guevara, Cuba, Cuban 5, Fidel Castro, Katharine Beeman, Montreal poet, Resistance Poetry. Bookmark the permalink. I enjoyed the excerpt and your review, but I especially appreciate your comments on the chapbook as a form. I really hadn’t thought about it like that before: perfect.